Please click on the links below to listen to the following appearances on BBC Radio Oxford. David Prever’s Drivetime Show, 7th September: Talking about the proposed “Trainspotting” sequel and my home entertainment picks. David Prever’s Drivetime Show, Cinema Review, 10th September: Reviewing “Legend”, “Irrational Man” and “Maze Runner: The Scorch Trials”. 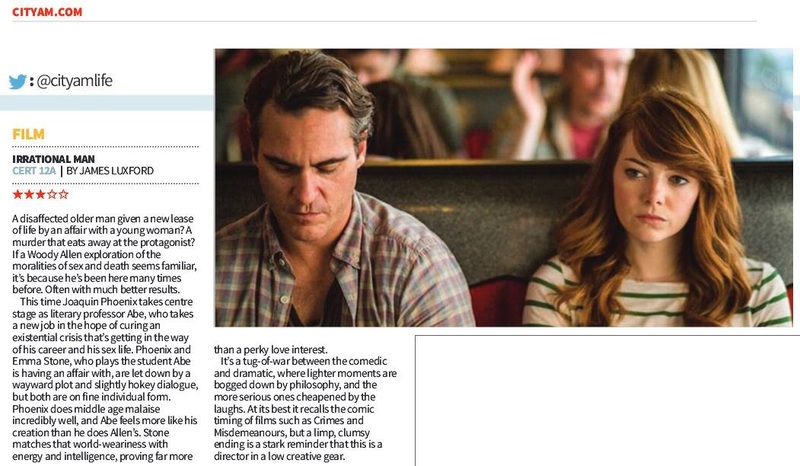 Also looking at the UK Box Office and events around Oxford. 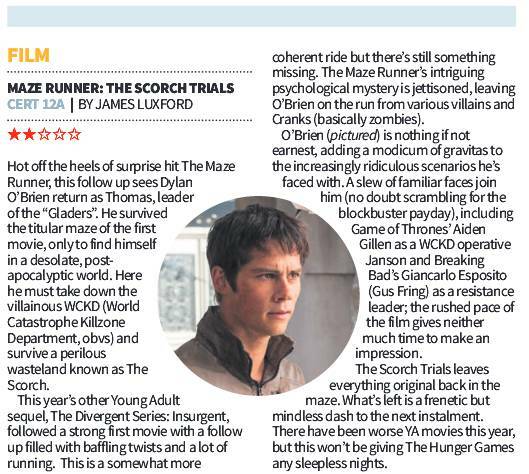 Please click the images above to read my reviews of “Irrational Man” and “Maze Runner: The Scorch Trials” for newspaper City A.M.
You can read the online version of the articles here.